Price Optimization: Being A Loyal Auto Insurance Customer Can Cost You Businesses often reward their customers with discounts for sticking with them. But some auto insurance companies may raise your premiums if they think you're unlikely to shop for a better rate. Some auto insurance companies could be using a tactic called "price optimization" to charge loyal customers a higher premium. Justin Mulholland is a financial adviser whose company manages money for people at the University of Michigan. He owns a Ford Focus, a Buick LeSabre and a Chevy Venture. He got a pretty good rate from the insurance company he chose. And for two years, all was well. Then he received a notice that his premium was going up. The increase "was pretty substantial — it was about $100 a year," Mulholland says. "They'll give you a discount for loyalty. But, they'll give you a 10 percent discount after they've raised your rate 25 percent." A guy who helps people manage their money most likely pays attention to his own as well. "I got on the phone with another friend of mine who sells insurance and he got me a deal with Cincinnati Insurance that brought it down to what it was before, and it's stayed there ever since," Mulholland says. Mulholland's lack of loyalty in the face of a premium increase means he's less likely to be snared by the insurance practice called price optimization. "Well, it's really profit maximization," says Bob Hunter, with the Consumer Federation of America. He says insurance companies can buy software that compiles an astonishing amount of data on everyone who buys almost anything, anywhere. Your Car Won't Start. Did You Make The Loan Payment? "They have all the information on what you buy at your grocery store. How many apples, how many beers, how many steaks," he says. "They have all the information on your house. They have incredible amounts of information on are you staying with DirecTV when Verizon is cheaper." A sophisticated algorithm crunches that data and spits out an index showing how sensitive a customer is to price increases. Only the insurance company knows the index. Clients may see a loyalty discount on their premiums but Hunter says it may not be what it seems. "They'll give you a discount for loyalty," Hunter says. "But, they'll give you a 10 percent discount after they've raised your rate 25 percent." This can mean as much as a 30 percent rate difference between two drivers with the same risks. Only one's a shopper and one's not. Rich Piazza, chief actuary for the Louisiana Department of Insurance, says this is pretty complicated. "As regulators, we're not always on the cutting edge of these changes in modeling and ratemaking practices, so we have to catch up sometimes," he says. But unlike Hunter, Piazza's not convinced the practice is widespread. And he's not yet sure that it's wrong. He says insurance companies have many legitimate reasons to raise rates or charge a customer more than the next person. The company's costs go up. Every driver is different, and poses different risks. "Insurance pricing rating is discriminatory," Piazza says. "It always has been." Joel Laucher, deputy commissioner of rate regulation for California, says there are legitimate risk-based reasons for different rates — your driving record, where you drive, if you have a garage. But, how do you shop? How loyal you are? "Unlike the other things, which are based on losses — loss data — this one isn't," Laucher says. He says most companies won't admit they're doing it. And it's so complicated, even insurance commissioners have trouble understanding if price optimization is at work. So California recently issued a notice to insurers — kind of a firm reminder, which Laucher describes this way: "We're aware of this thing. Don't do it. And they may say, 'Oh no, I wasn't doing it.' And hopefully, even if they were, they stop." Among the major insurance companies we contacted, only Progressive and State Farm told us they don't price optimize. In an email, Luis Sahagun of Farmers Insurance said: "Your questions involve a complex matter in which there continues to be lack of agreement on what it really means." We asked Nationwide about its December 2014 letter to the Maryland Insurance Administration describing its use of price optimization. Nationwide referred NPR to an insurance trade group. Allstate initially denied it uses "any form of the price optimization tool" described in this story. But in 2011, Allstate filed a report with the SEC saying that it does indeed use price optimization. Eventually, after a lot of back-and-forth emails, Allstate spokesman Justin Herndon amended the statement. "We do not engage in price optimization that seeks to charge the highest rate the market will bear," Herndon said. In a statement, Allstate said it is "committed to operating with absolute integrity. The Consumer Federation of America's allegations of illegal pricing methods continue to be wrong and misinformed. Our prices are legal and actuarially sound." Robert Hartwig heads the Insurance Information Institute, the trade group we were referred to by Nationwide and Allstate. He says the industry has always tried to estimate how much customers are willing to pay. "Insurance is sort of the original big data industry," he says. "We've been collecting data on certain types of things for centuries, like ships sinking, for example." And Hartwig says he thinks price optimization is OK because it's related to legitimate financial objectives — like making a profit. "And keeping costs down for such things as churn is a completely reasonable component," he says. Churn meaning how many customers might bolt if faced with higher rates. On one point, there's complete agreement between the industry and its critics. "If an individual is unhappy with their insurer for any reason, they should shop," Hartwig says. 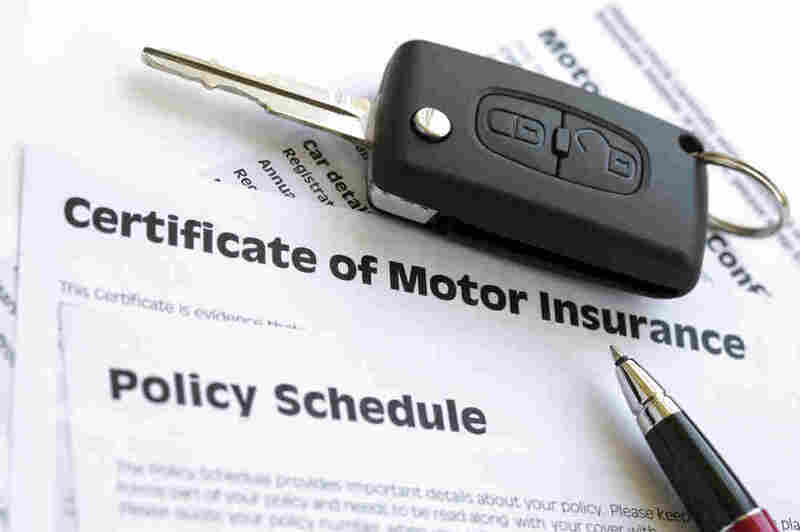 In a statement, the American Insurance Association said "the auto insurance market remains very competitive and consumers have numerous options available to them." Hunter, the Consumer Federation of America, says that even if all people do is suspect they're being price optimized they can still fight back. He says, "Shopping around will foil price optimization because if you shop around, the insurance company's going say, 'This guy's gonna leave if I raise the price, so let's hold it down.' "
For now, there are two class-action lawsuits seeking damages for price optimization. New York may soon join Ohio and Maryland in banning it in car insurance. Meanwhile, the National Association of Insurance Commissioners plans to issue recommendations to states on the practice by the fall.